This mural was painted at Dairy Meadow School in Southall, London. 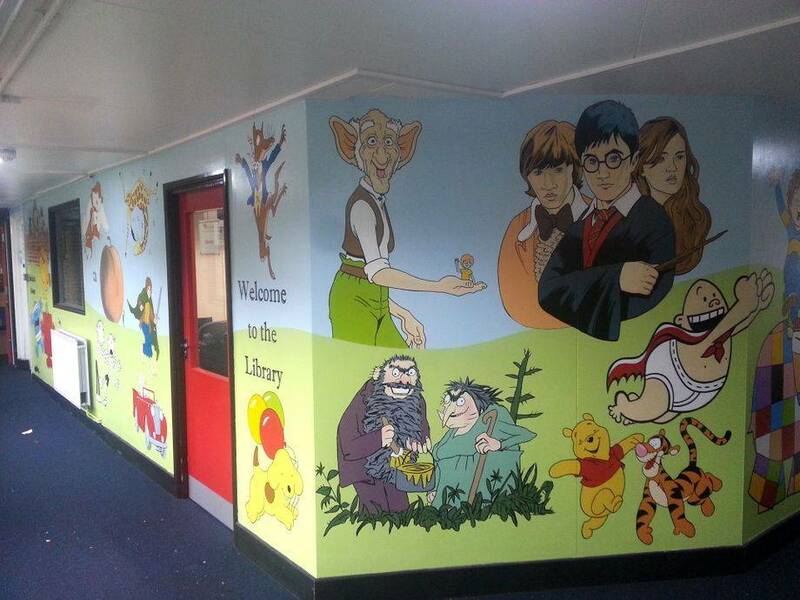 They wanted a mixture of Story Book characters painted on a simple background around their library and medical room. This took us one week to complete.